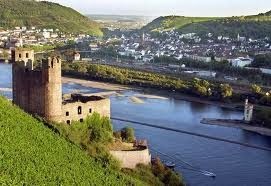 Rhine, generally known by the name of Romantic Rhine is a beautiful city nestled between other two amazing cities of Bonn and Bingen. This place is considered as a paradise for the newlyweds and couples as the air in here is filled with romance. The stunning geological formations, picturesque villages, medieval castles, riverboat cruises and fabulous sightseeing of this place are well suited for a memorable romantic trip. Other major attractions of the city include operas, painting galleries, Lorelei, the Electoral Palace etc. Amsterdam Schiphol Airport and Frankfurt International Airport are the two main airports that are located near the Rhine valley and offer flights to this place. The tourists from different parts of the world can get to this place by airways. The Rhine valley is known for its lush green vineyards. You can visit the huge Rudesheimer Roseneck Vineyard whose amazing views can be seen from the hills along the Rhine Valley. 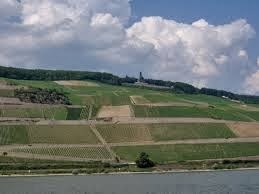 It is just a few miles from Switzerland and provides you an opportunity o taste some amazing wine in Germany. One of the most populous mountains near the Rhine River that catches the attention of the tourists is loreley Rock. The echo produced in this area is amazing and you can try calling out the name of your partner and let the nature repeat it. Gateway to an amazingly beautiful World Heritage site listed under UNESCO, Bingen am Rhine is full of historical stories. Apart from the historical importance, this place is also known for its Wine growing regions. It is also a perfect place for hiking and cycling. This castle is located at the hill top and provides an amazing view of St. Goar, a picturesque town in Germany. This historical place is worth a visit and you will really enjoy a guided tour to this place. The visitors can enjoy a romantic stay in the top notch hotels located in the city. 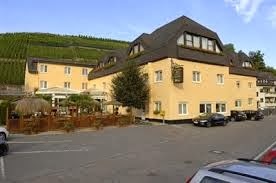 A wide choice for these hotels includes Romantik Hotel Schloss Rheinfels, Hotel Ebertor, Häcker´s Grand Hotel and Mosel Hotel Hähn. There are several other hotels and lodges that offer a perfect stay with a romantic auara to the honeymooners. 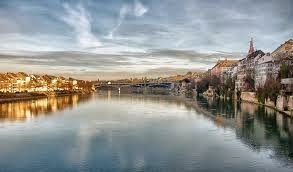 Rhine valley is an amazing destination with wonderful natural delights. The stunning landscapes and romantic destinations make this place an outstanding place for honeymooners.